If you want to see the power of lean management, take a step back to observe how well lean hospitals do their jobs. Lean can be applied to any situation- even medical. Hospitals are a strenuous environment where life and death are frequently hanging on the line. Bad performance or timing could literally cost someone their life. So, it is crucial that hospitals are as effective as possible because the room for error is small. However, it is challenging to make changes because of the fast-paced and high-risk environment. That’s where lean comes in. Applying lean principles to a hospital setting has become so popular and commonplace that textbooks are being published specifically focusing on this theme. We recommend Making Hospitals Work by Marc Barker and Lean Hospitals: Improving Quality, Patient Safety, and Employee Engagement by Mark Graban because they are full of insights and concrete case studies. We also recommand to follow Patrick De Coster from CHU UCL Namur DINANT – GODINNE. He is a leader in Belgium for implementing lean in his hospitals. 1. Design around the patients. Make your process flow in a way that benefits the patients the most. You can change existing processes and look for solutions that bring the value to the patient. For example, minimise time it takes to get to the point of treatment. Find where the value is from the patient’s point of view and scrap everything that doesn’t add value. Recently, Akron Children’s Hospital, a leading lean hospital, took the idea of designing around the patient to a new level. Since this hospital was preparing to expand, the staff has to create design ideas and floor plans that would be most beneficial for the patient. To test and try out their ideas, the team literally had large life-sized scale cardboard mock-ups to delineate the walls and rooms. 2. Compare current-state maps and future-state maps. Have your team outline a particular process as it currently is, consider this as the “current-state map”. Then, on a new piece of paper, outline what a more efficient process would look like, consider this as the “future-state map”. Compare and contrast the two maps, in order to identify exactly what needs to be changed. Current-state maps can be used to highlight where points of excessive waiting or waste occur. When drawing out current-state maps, one possible approach to do this is to have the team split up into two groups. One group outlines a general map that demonstrates all of the steps that a patient has to go through (from making the appointment to the end of the treatment program) while the second group focuses on the happenings of one medical procedure. 3. Use future-state maps to convince those that will be involved. It is quite possible for staff to be resistant at first, but you can use the future-state maps to demonstrate just how important this change will be. By outlining the care process within the future-map, someone will be able to clearly see and visualise how their actions will impact somebody else further down the chain. Such hospitals are dynamic and complicated, but they can work! It has been done before and it is becoming increasingly common to streamline processes as a means of making hospitals more efficient. The main approach has been to design around the patient and provide them as much value as possible. Next, hospital leaders, doctors and physicians analyse the medical process on two levels: with respect to both the overall context of the hospital and to the individual patient. 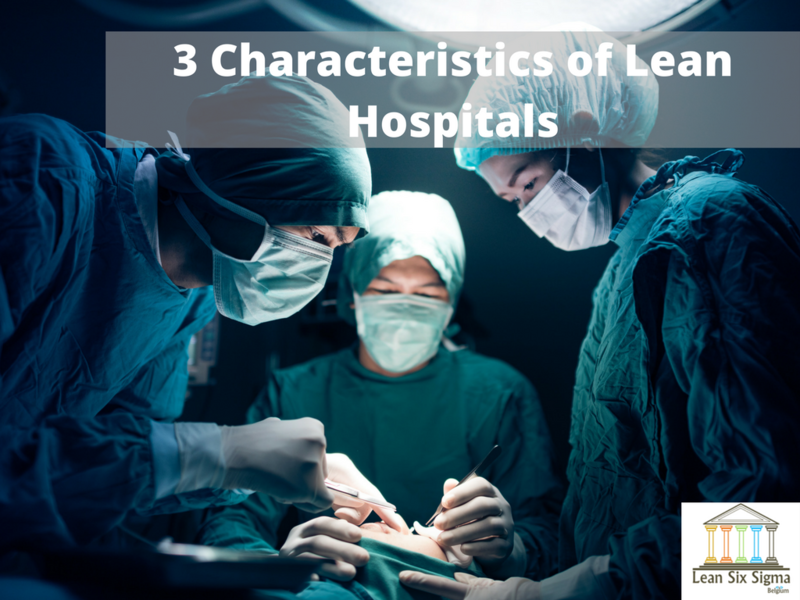 By the day, the available information exploring the precise nature of lean hospitals is increasing. You can find plenty of more books and articles available online. Giving life to your lean hospital is entirely possible and the benefits will be huge in terms of value earned, as well as time and money saved. Be Lean, be happy! Thank you!